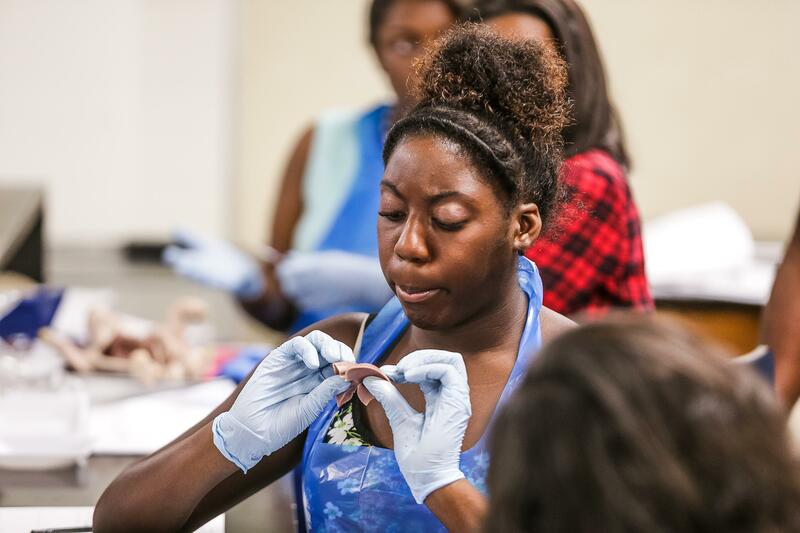 Pediatric nurse is a title that will suit rising Booker T. Washington High School senior Jala Hawkins well one day. 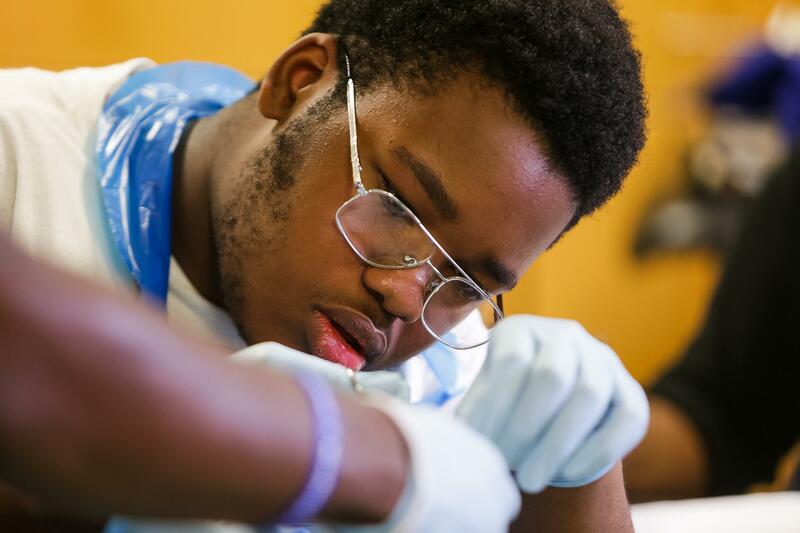 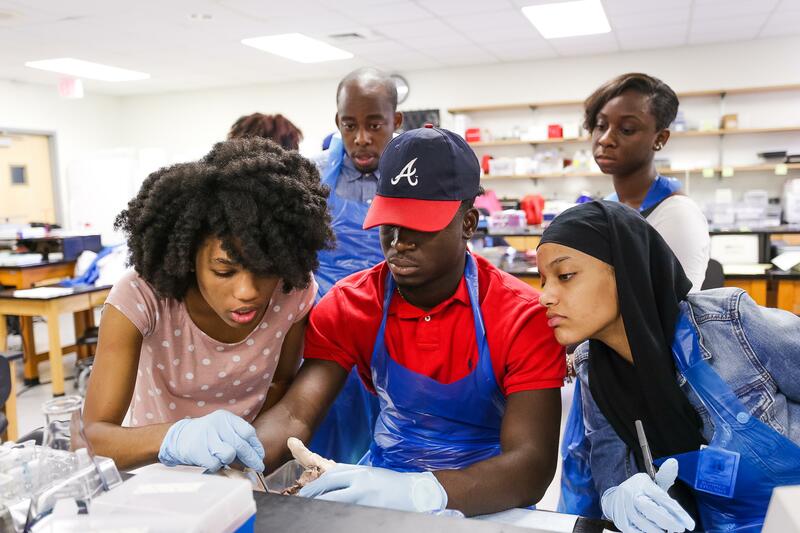 After all, “I like kids, and I like to take care of people,” explained the teen, who is taking part in the HEAL (Health Equity Achievers and Learners) Program at Morehouse School of Medicine (MSM). 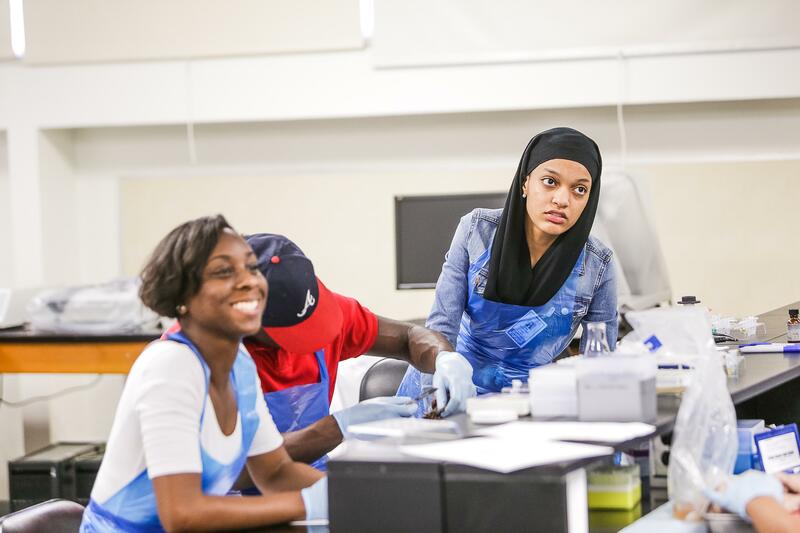 HEAL, like all of the 11 summer pipeline programs MSM is currently hosting, gives Jala and others underrepresented in medicine a chance to prepare to enter careers in health care and biomedical research. 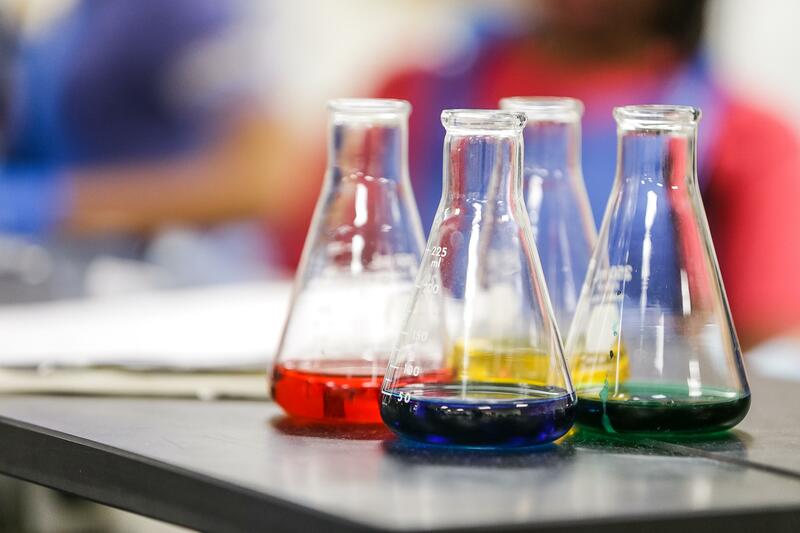 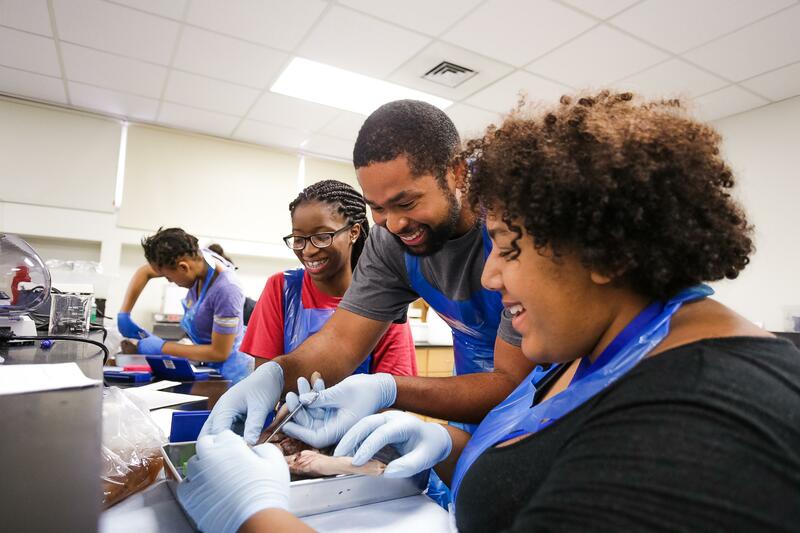 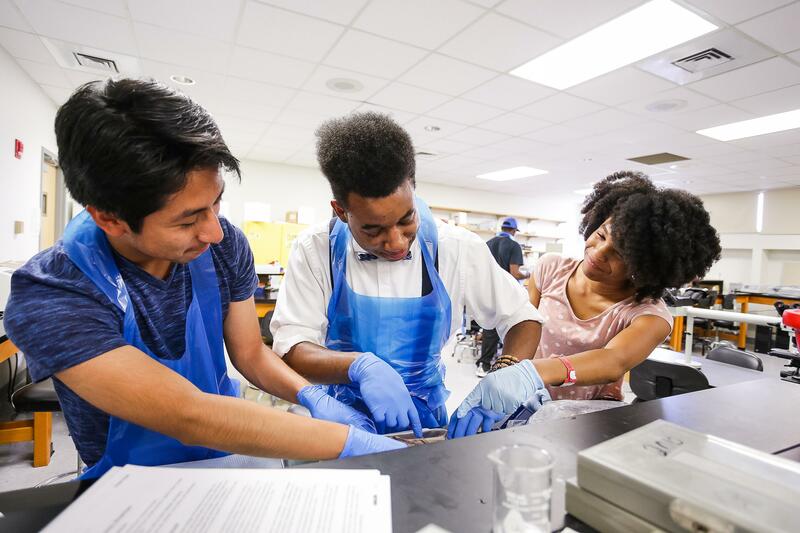 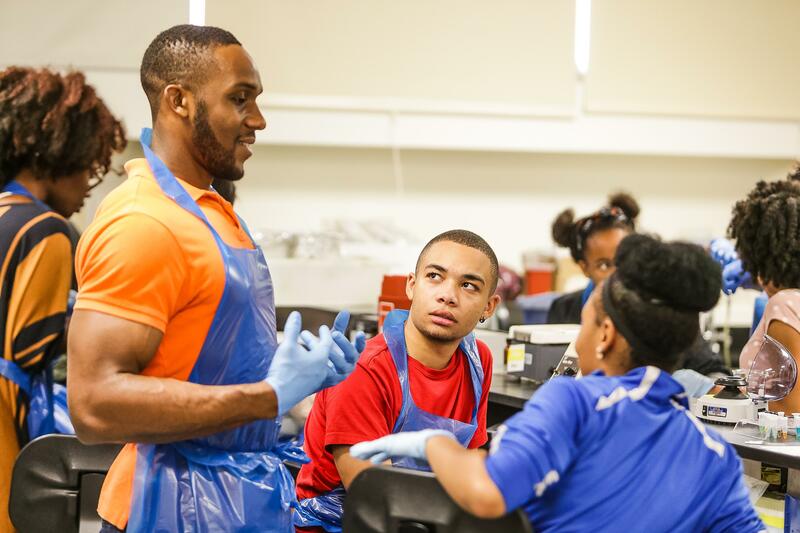 Overseen by MSM’s Office for Educational Outreach and Health Careers, the pipeline programs span educational levels from elementary school through graduate and medical school. 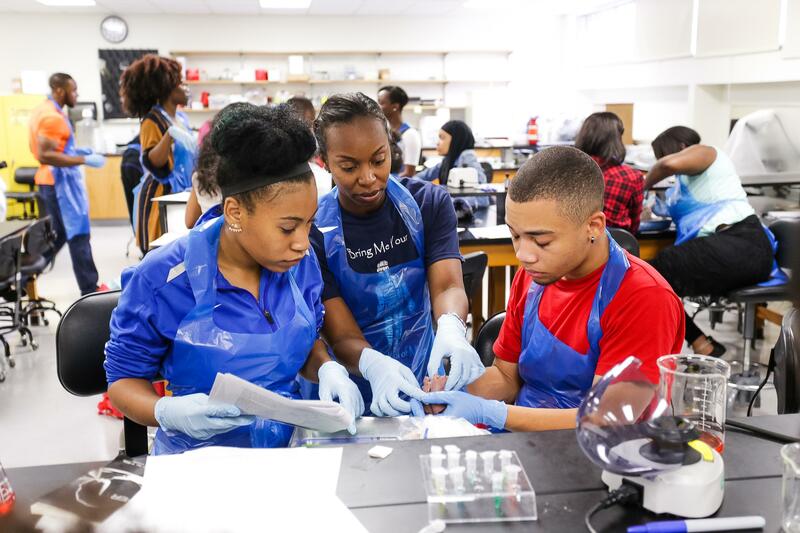 They provide mentoring, academic enrichment, clinical shadowing and laboratory research exposure. 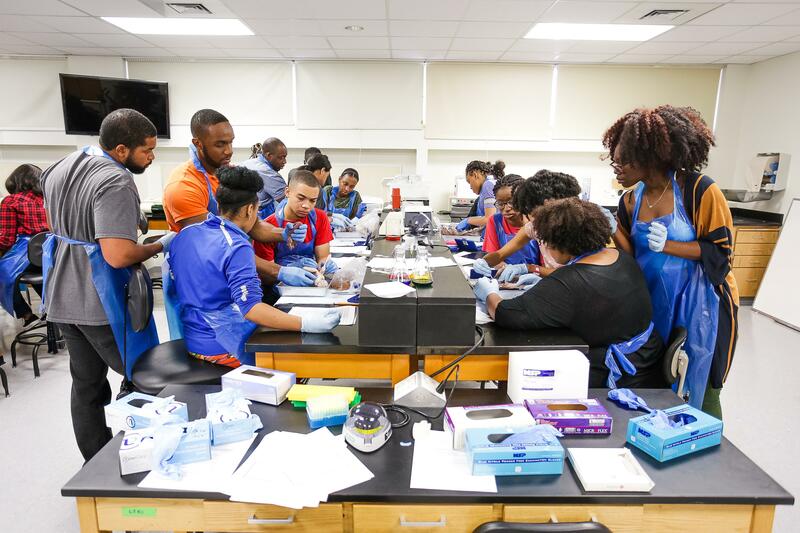 The HEAL program is funded by the Health Resources and Service Administration’s Health Careers Opportunity Program grant, which was awarded to MSM last fall. 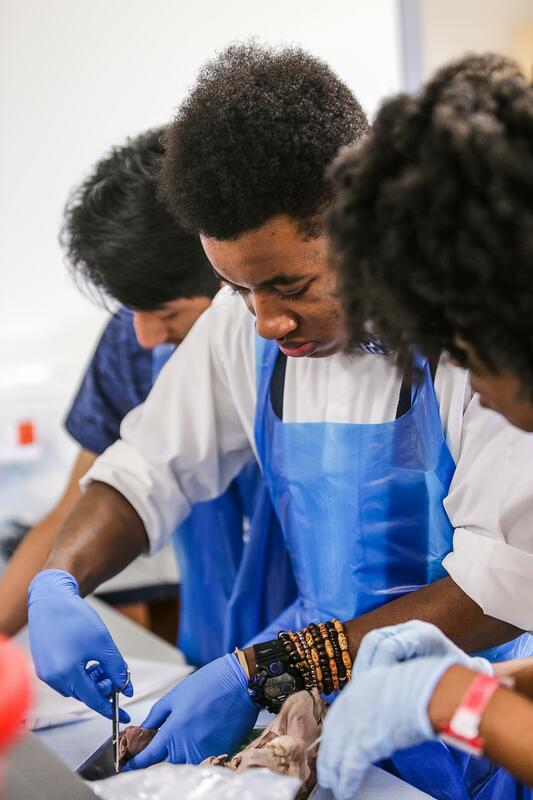 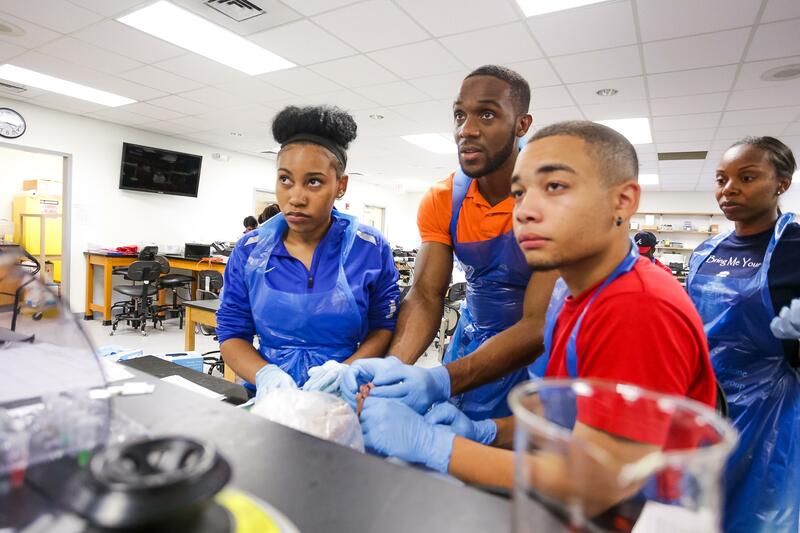 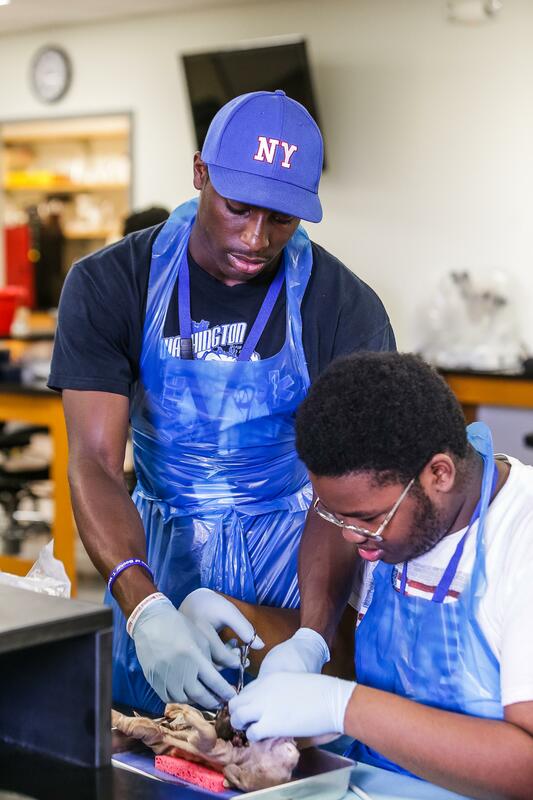 The HEAL Program (designated HEAL-S for high school participants and HEAL-M for undergraduate participants) is focused on health careers exposure and health equity training for juniors and seniors in high school and college throughout the academic year, as well as during this six-week summer program. 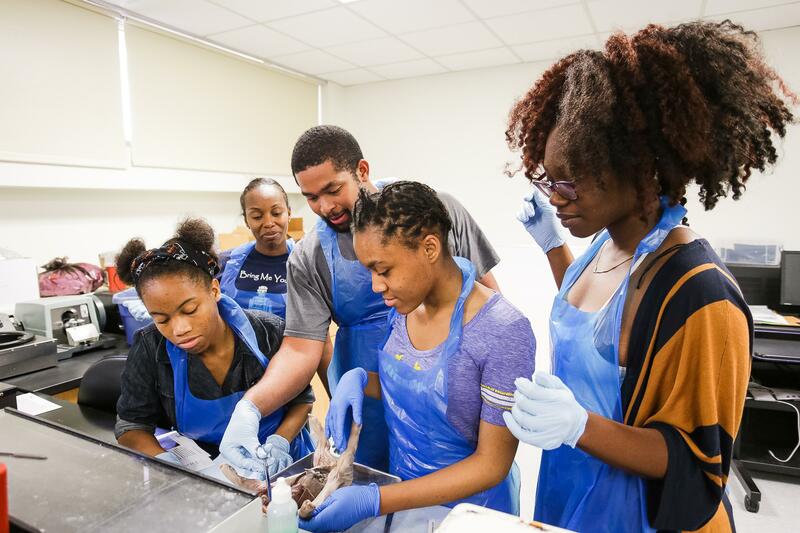 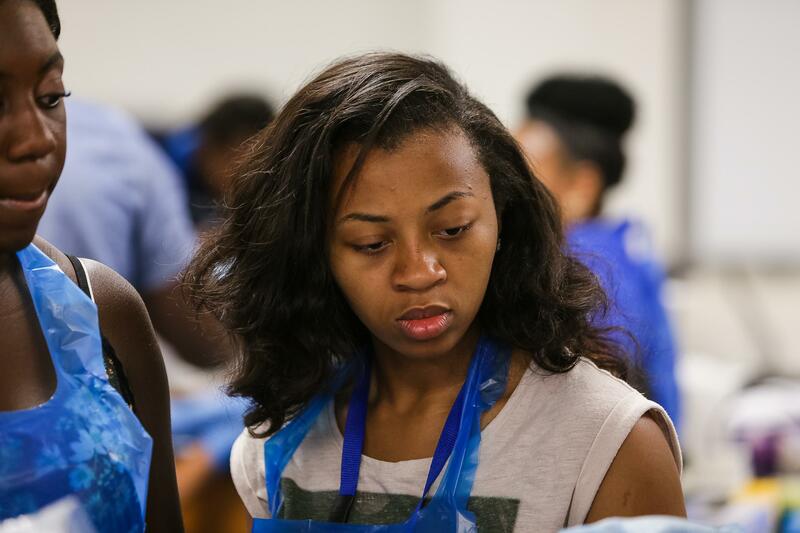 Part of the summer instruction for Jala and her fellow HEAL attendees is being led by MSM students, including Aneesah Garrett, a rising second-year M.D. 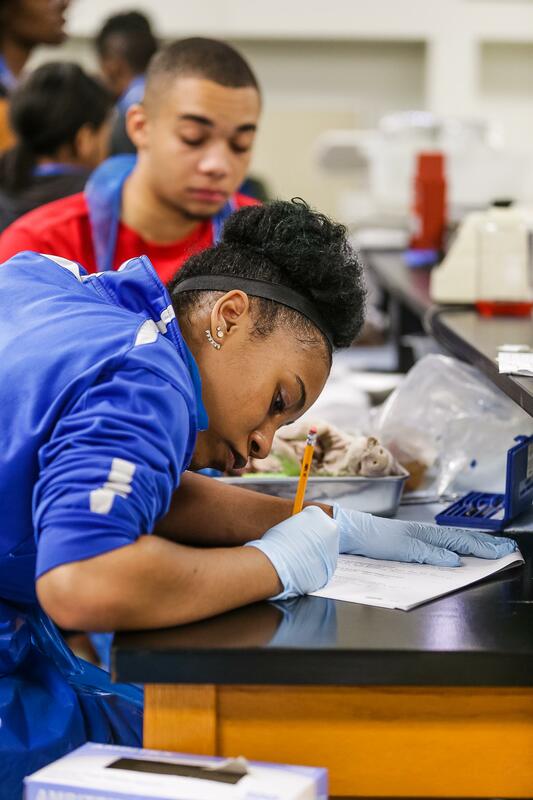 student. 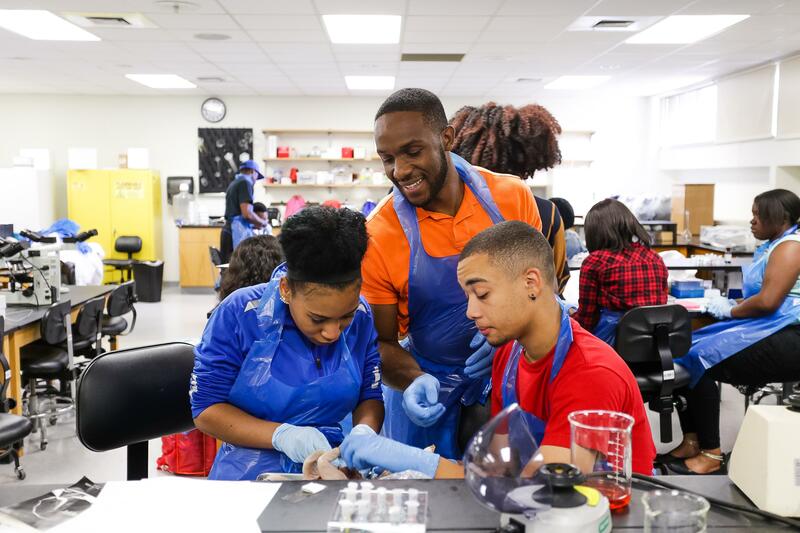 This type of near peer engagement is considered critical to the effective delivery of instruction and to the mentoring of program participants. 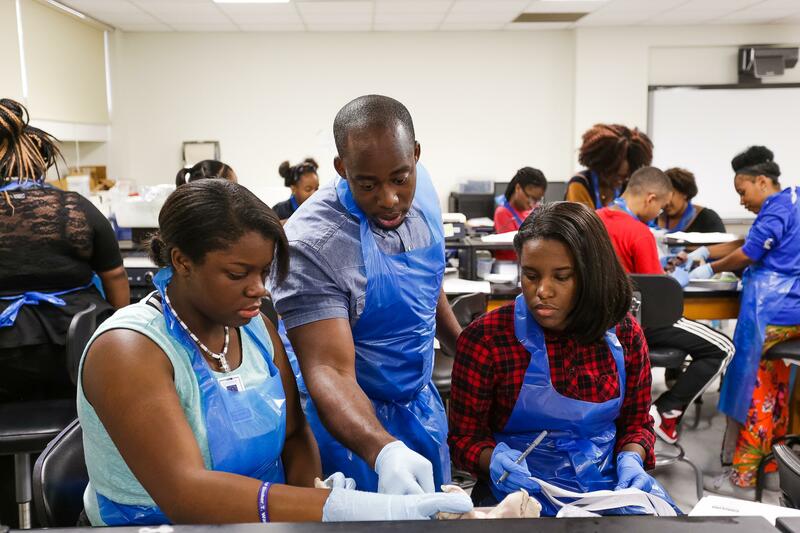 As HEAL teens prepared for dissections in the anatomy lab on a recent Wednesday, Garrett and fellow MSM M.D. 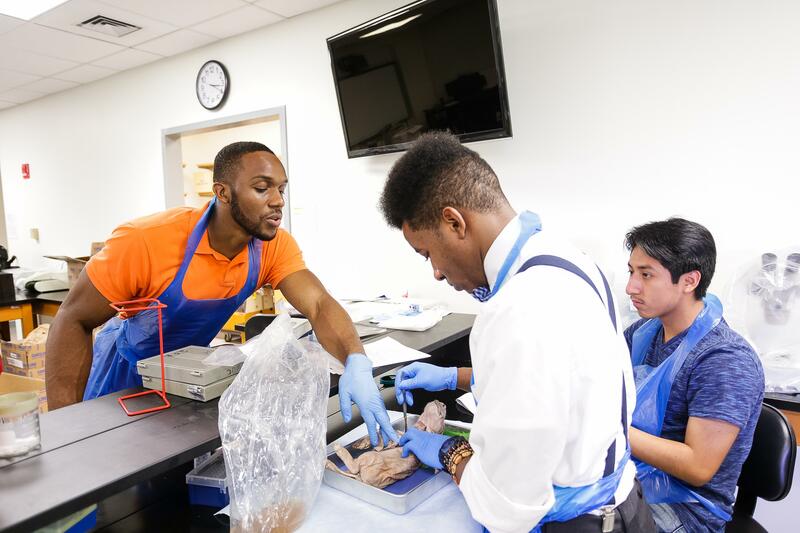 student Wyndy Bailey gave an overview of the respiratory and endocrine systems. 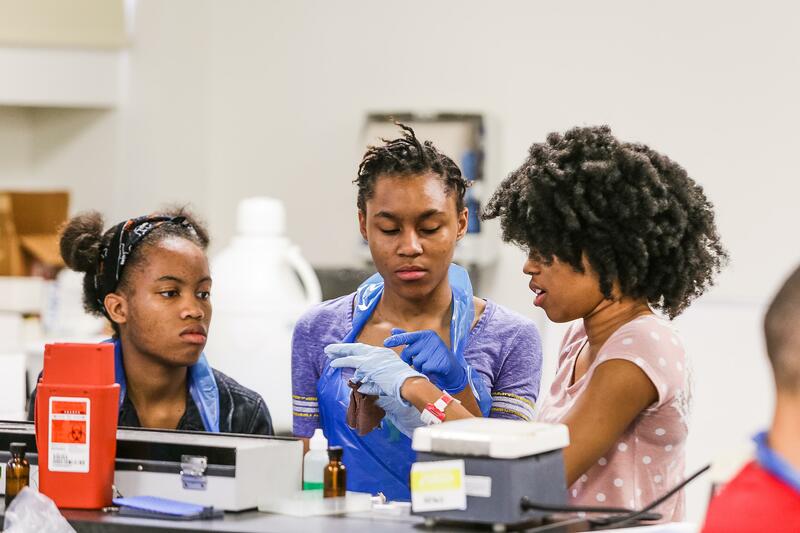 The pair are alumni of the MSM pipeline programs, Garrett as a student in the Master of Science in Medical Sciences Degree Program and Bailey as a student in the Vivien Thomas Summer Research Program (the current MSM STEAM Academy for grades 9-12). 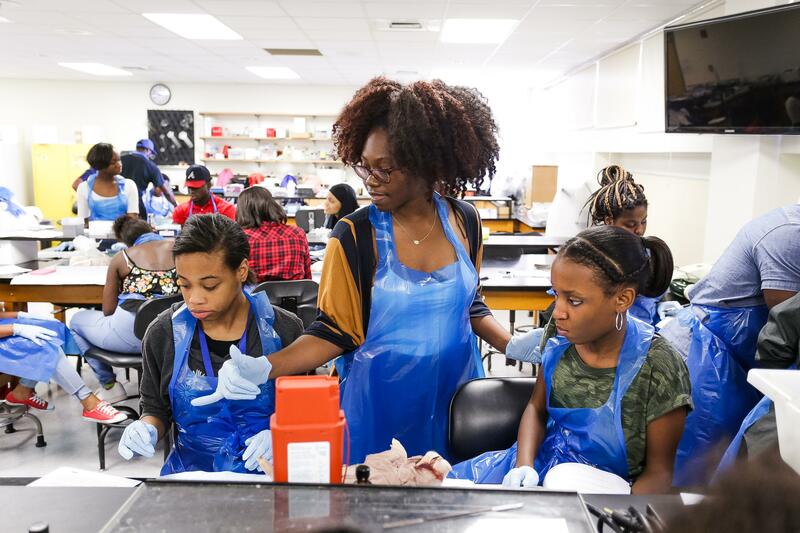 S. Jermaine Duffie, program manager with the Office for Educational Outreach and Health Careers, said there are 22 high school students from Booker T. Washington and B.E.S.T. 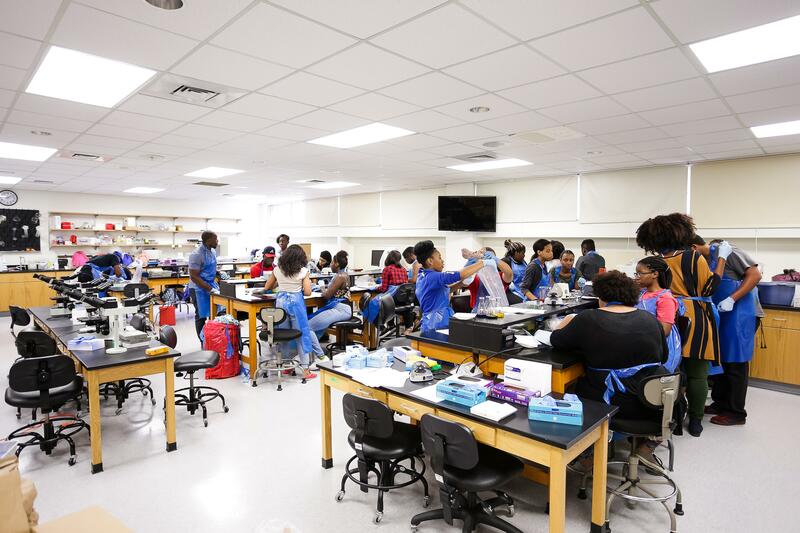 Academy at Benjamin S. Carson high schools, and 10 undergraduate students from Atlanta Metropolitan State College participating on campus this summer. 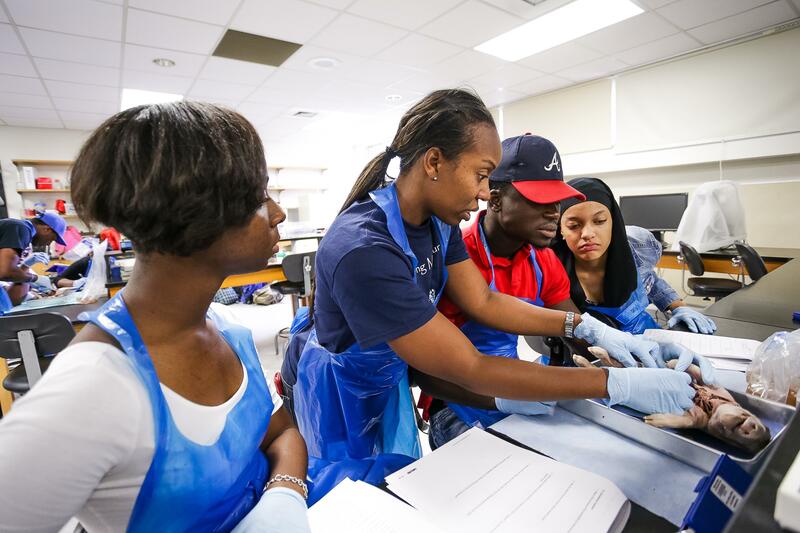 Founded in 1975, MSM is among the nation's leading educators of primary care physicians and was recognized by Annals of Internal Medicine in 2011 as the top institution in the first study of U.S. medical schools for our social mission based on our production of primary care physicians, training of underrepresented minority doctors and placement of doctors practicing in underserved communities. 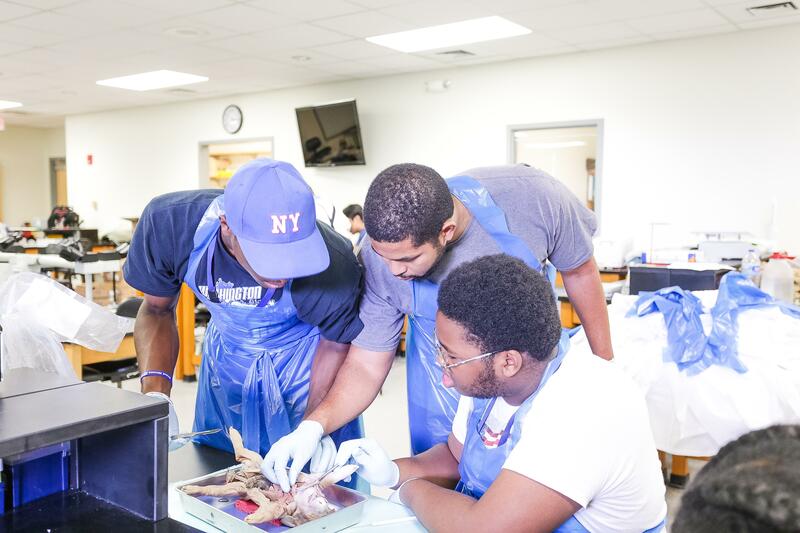 Our faculty and alumni are noted for excellence in teaching, research and public policy, as well as exceptional patient care. 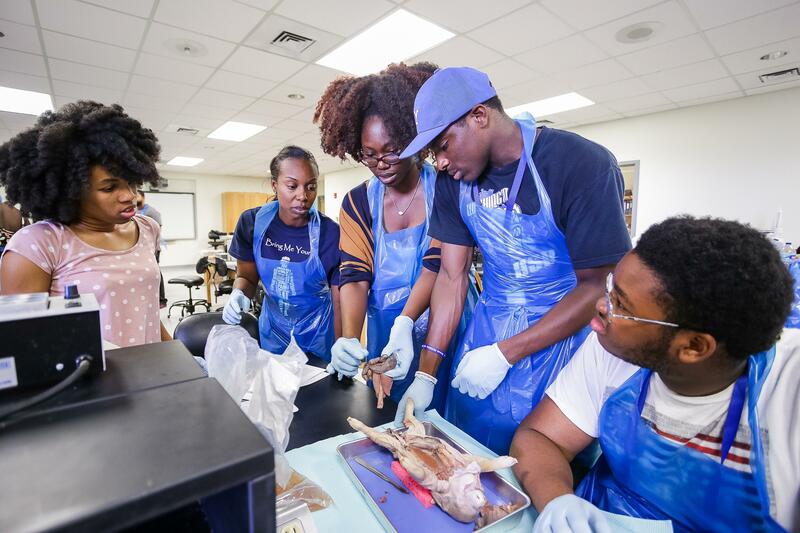 Morehouse School of Medicine is accredited by the Commission on Colleges of the Southern Association of Colleges and Schools to award doctoral and master's degrees. 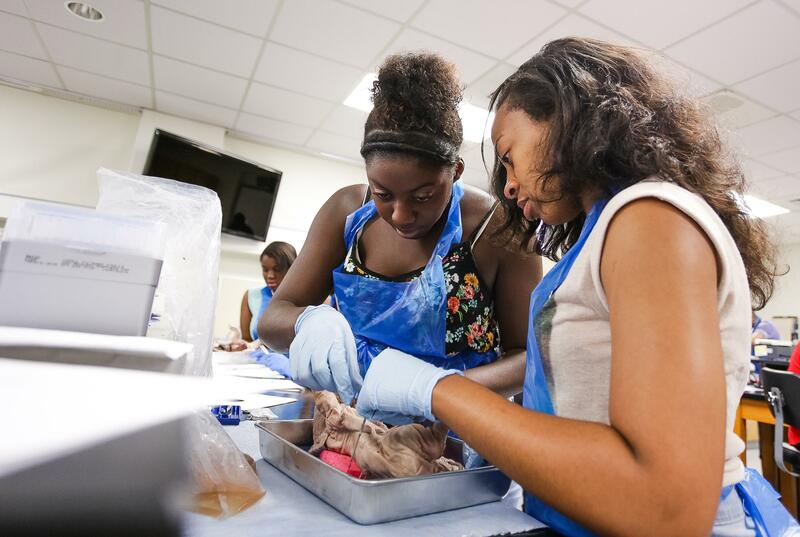 For more information, please visit www.msm.edu.